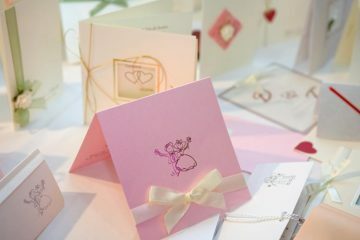 Every girl dreams of the special day they get to sign, seal and deliver the sweetest invite in the world–their wedding invitation. 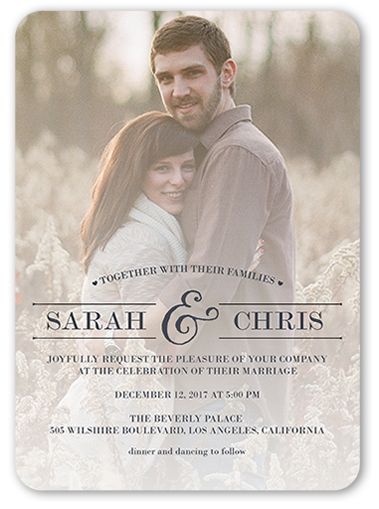 You can cut costs on your wedding expenses with “Do It Yourself” invitations. 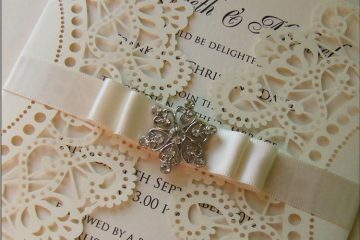 From classic designs, lace prints, art deco fonts, photos, personal touches, bespoke, characters and themes, there are a plethora of styles for DIY wedding invitations to choose from. 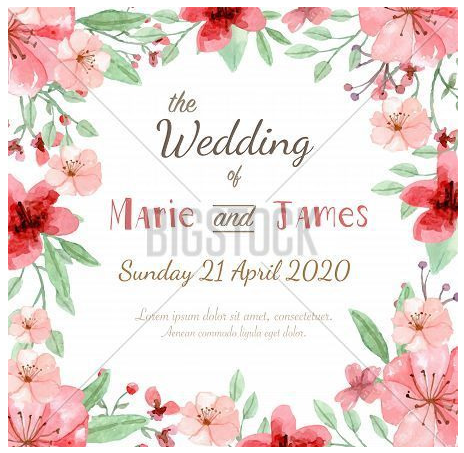 Clipart, photography, professional and print at home services are just some of the many ways to DIY your wedding invites for a budget friendly way to let your guests know they are invited to your special day. 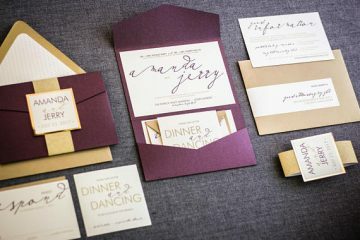 Rather than dropping about $200 (at minimum) on some of these foldable style invitations (but if you’re open to the price, check out Envelopments! ), one of the most simple, yet sweet, invites you can DIY is one where your beautiful wedding stationery actually doubles as the envelope. If you’re going to use a calligraphy pen or sharpie to address the envelope, we suggest a thick paper in order to keep it from bleeding; otherwise, sticker printed labels will do the trick on regular paper. Here’s an amazing DIY Tutorial on Instructables for making your own Pocketfold Wedding Invitations. Also the source of the header image! If you’ve got an inclination to be a designer, maybe you should consider using stock vector artwork to print invitations. This is another great way to get professional quality designs at home for a fraction of the cost. Look online for all around inspiration, there are so many ideas for what kind of vector art designs you can use to build your own custom design — you can even print a stamp, envelope liner and wrapping paper! If you’re going less modern and more classic, there are many kinds of pre-designed vector art templates that are super-sweet, too. One of the most adorable invites we’ve seen is the photo booth style invite. Simply download a photo booth app onto your smartphone via Google Play or your devices services. Get all dolled up, take some sweet, silly and romantic photos. Print them at home, and use an online template to print on the back! Use a wedding website for a paperless online R.S.V.P and you’ve got sweet, simple, easy wedding invitations for the ‘no fuss’ couple. Another low-cost, cute way to add personal touches with photography is to DIY your own wedding invitations through websites like Shutterfly. Simply upload your favourite photos, decide on a font and style, and then order prints. Before you do, Google ‘coupon codes’ and ‘coupons’ for Shutterfly. Also, be sure to search online for last minute offers – you may also find coupon codes too! If the timing is right, you might be able to get your invites for a massive steal of up to 90% off! 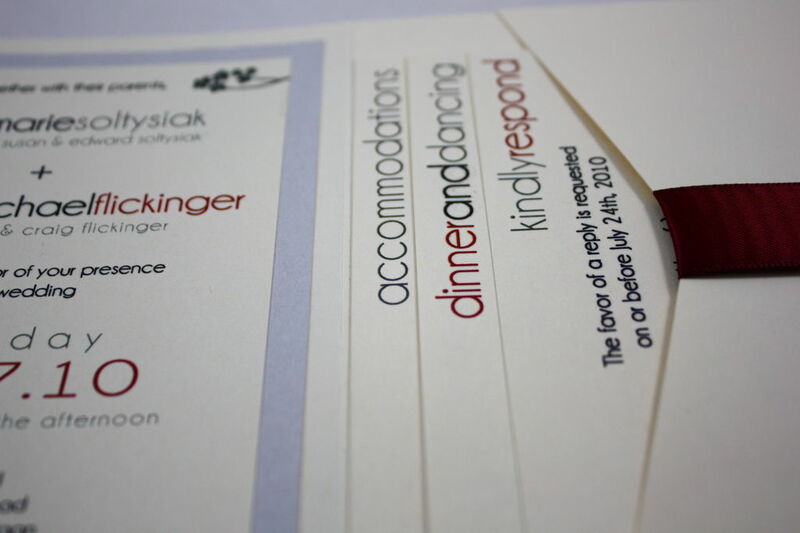 Menus, Invitations, and Other Stationery: Professional Printing or DIY? Save Money: Watch Those Wedding Invitations!